A couple months ago I had the pleasure of being a part of my friends over at Femme Regard Productions’ podcast! The ladies asked me to specifically talk about my experience being on the festival circuit for my award-winning film PLUNDER, as well as a short I star in called,Weltschmerz, that recently picked up an award as well! I always enjoy offering up tidbits of information that I learn along the way, only because I know how difficult it can be within this industry, especially if you are trying to produce your own content. I am grateful for the amount of support I've received in return! But first, we dive into a fun game, where I get to put on a little accent that goes along with how the game is played, which was super fun! Click the link and scroll down to mine, and have a listen! I had an absolute blast at the LA premiere of my film, Weltschmerz, at The Pasadena Int'l Film Festival yesterday! Being able to hear an audience react to certain moments in the film will never get old, and the fact that I had a good amount of my friends there to support me is something I couldn't be more appreciative of. I ended up staying and watching the Sci-Fi block, and saw some pretty incredible films. Making it a point to support other artists, and seeing what other works are being produced is important to me. 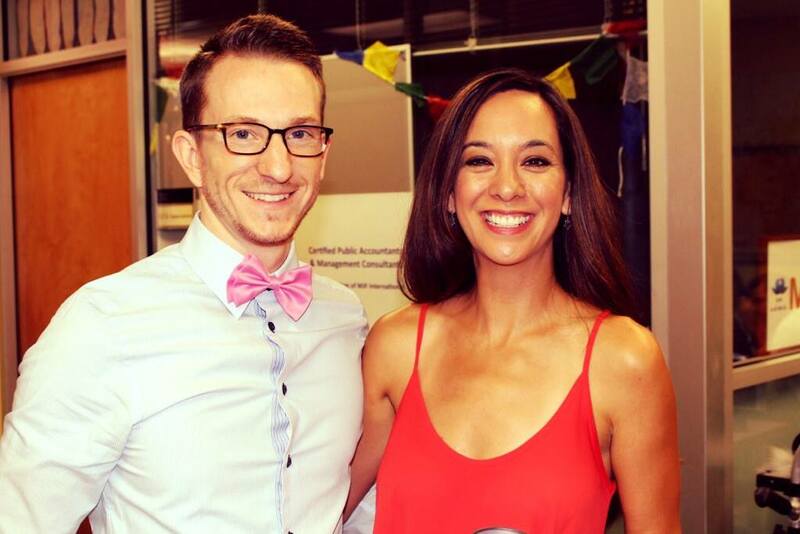 Networking with other, like-minded individuals, and working with them is essential for myself. If you're reading this, and want to collaborate on a project, please don't hesitate to contact me. Let's get to work! Great news from the acting front! 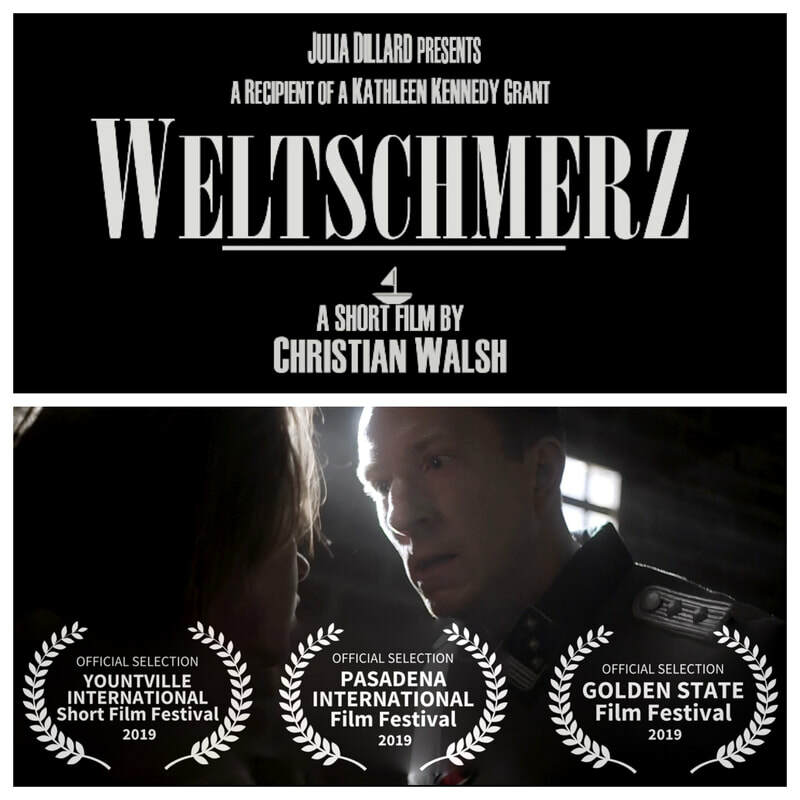 Weltschmerz will finally be screening at a couple of local film festivals, so you can finally see this story! On March 17th, it will screen at The Pasadena International Film Festival Block 14 at 12:00 PM. And on March 25th it will screen at The Golden State Film Festival at The TCL Chinese Theatre at 6 PM. We wrapped in November 2016, and when it premiered at The San Jose Int'l Short Film Festival back in October '18, I was given a lot of great feedback in how authentic everything was, including my portrayal of this nasty character. Proud doesn't cover how I feel about being able to be in this film, and tell this story, even though it was a very difficult on to tell. I cannot wait to show you all this work! Come on out and support us. I'd greatly appreciate it! Let's talk film afterward! Great news from the filmmaking front! My film, PLUNDER, won Best Sound Design short at Culver City Film Festival back in December! It was a really nice way of ending the 2018 festival run. I am waiting on a couple more festival notifications, and am looking forward to the film screening in Michigan again next month! Starting out 2019 with a bang! 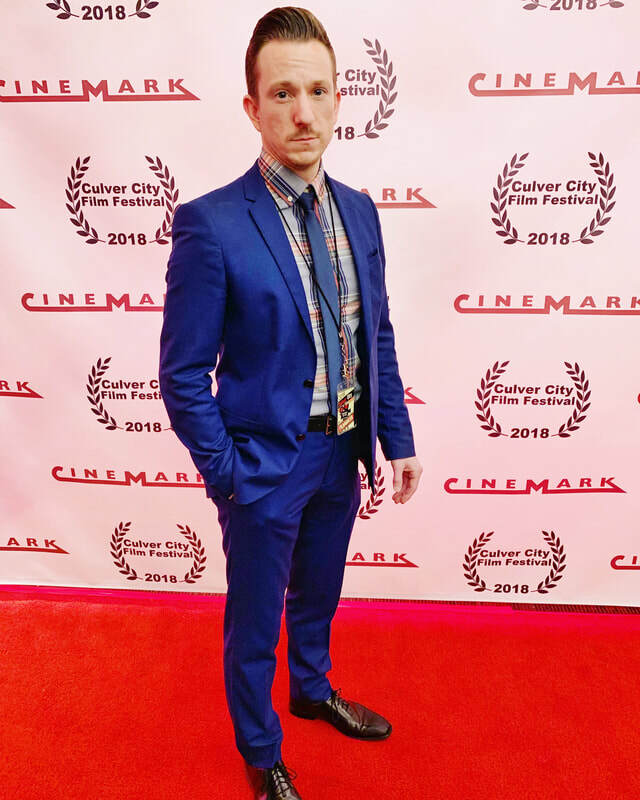 I had a fantastic time at the Culver City Film Festival earlier this month, and even received an opportunity to be interviewed, to talk about my film, PLUNDER, a short film that was my writing/directorial debut! I am super proud of this project, and it continues to be getting some attention, which in-turn, has given me additional exposure. I couldn't ask for anything more! As I gear up for 2019, I'm still not done with 2018, and will have more news to share in the coming days! I had such a great time at The Culver City Film Festival this year! I met, and networked with quite a few artists, and filmmakers after the screening of my film, PLUNDER. It was a unique block, as my short film opened right before a feature film screened, which was nice. I will also be posting an interview I was a part of during the opening night festivities earlier this month, which I am always happy to be involved in. Any chance that I can discuss the process, or share a memorable story about what I do is something I look forward to. We all have plenty of stories to share, and I am happy to have been able to share mine. Lastly, I will be announcing some news related to this festival! It's good news, so stay tuned!! As always, I appreciate the support!! It means the world to me. I am happy to announce that my award-winning short film, PLUNDER, was accepted into The Culver City Film Festival! It will be screening on December 9, 2018 at 7:30 PM at the Cinemark 18 & XD. This marks the 6th festival appearance, and 5th locally in Los Angeles, which has been ideal. Since the new score has been added on by the talented, Emmy-Nominated composer, John Robert Wood, it offers up a much different feel to the film! ​I, once again, have to say how proud I am that this film was finished to completion, and it being my writing/directorial debut is a huge bonus! 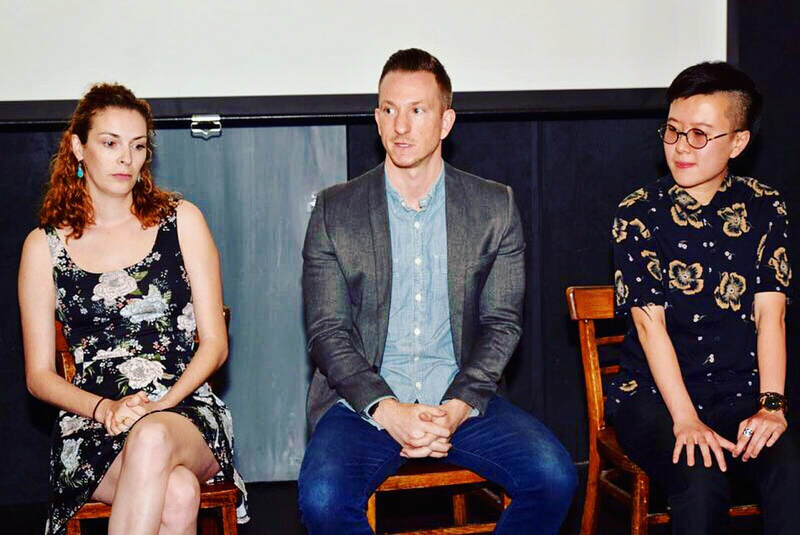 Here's a short excerpt from the Q&A I was a part of after Weltschmerz premiered at The Sane Jose International Short Film Festival on October 13th. I always enjoy being able to discuss parts of my process with a particular project I work on. For me, the process isn't always the same, especially Weltschmerz as I had to prepare a German dialect. I love a good challenge, and this definitely presented itself as a pretty big one to conquer! What an incredible week is was last week! 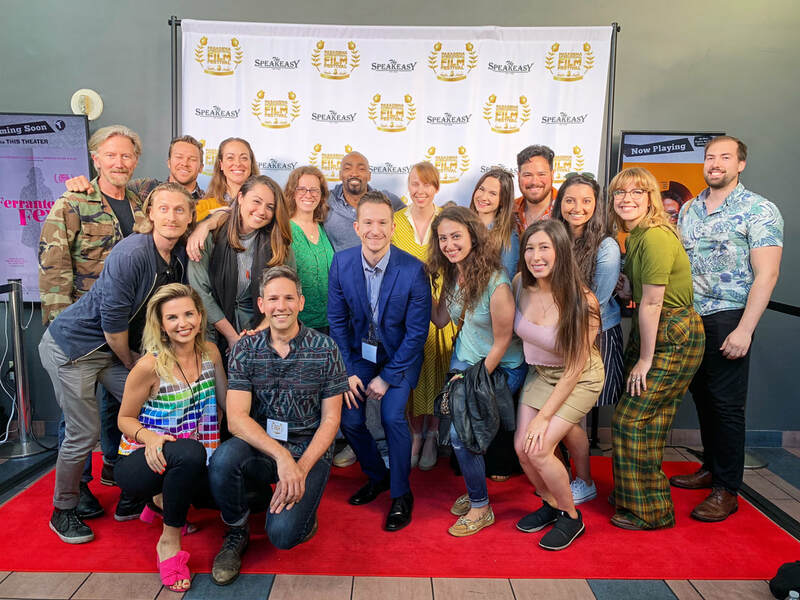 I attended all days at The San Jose International Short Film, and could not have had a better experience. 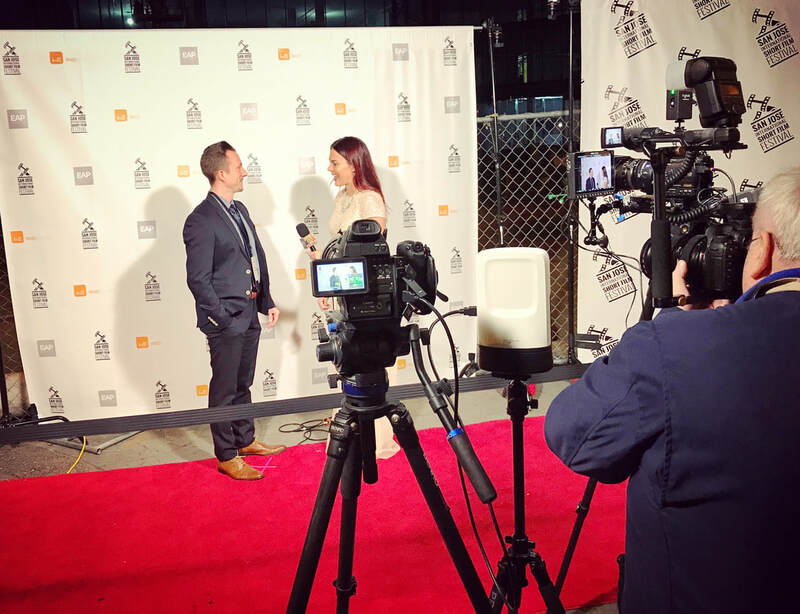 I did a little red carpet interview on opening night, talked about Weltschmerz, a film I am starring in, and premiered there, and even plugged my own film, PLUNDER, as it's screening in MI on the 25th, and 27th of this month in MI. I got to meet a lot of talented artists, producers, and cannot say enough about the festival creators, Bill and Sinohui, and how generous, and hard working they are. They. Love. Films! I highly suggest submitting to them for next year! Here's a short teaser trailer for my upcoming film, Weltschmerz! It will be premiering at The San Jose International Short Film Festival on October 13, 2018, and also at The CSU Media Arts Film Festival on October 16, 2018! Hot off the press! Another win for myself, and my film, PLUNDER! It will be making its Michigan premiere in Grand Rapids next month, and will screen at Thriller Chiller!, which is now the 5th festival it will screen at! I am currently working hard to figure out a way to be able to attend as I always love going back to my home state/seeing family, representing my films in-person, and making new artist friends who have the same passion as I do! Things are heating up over here, and I am thrilled for the future of PLUNDER, and my other film, Weltschmerz! 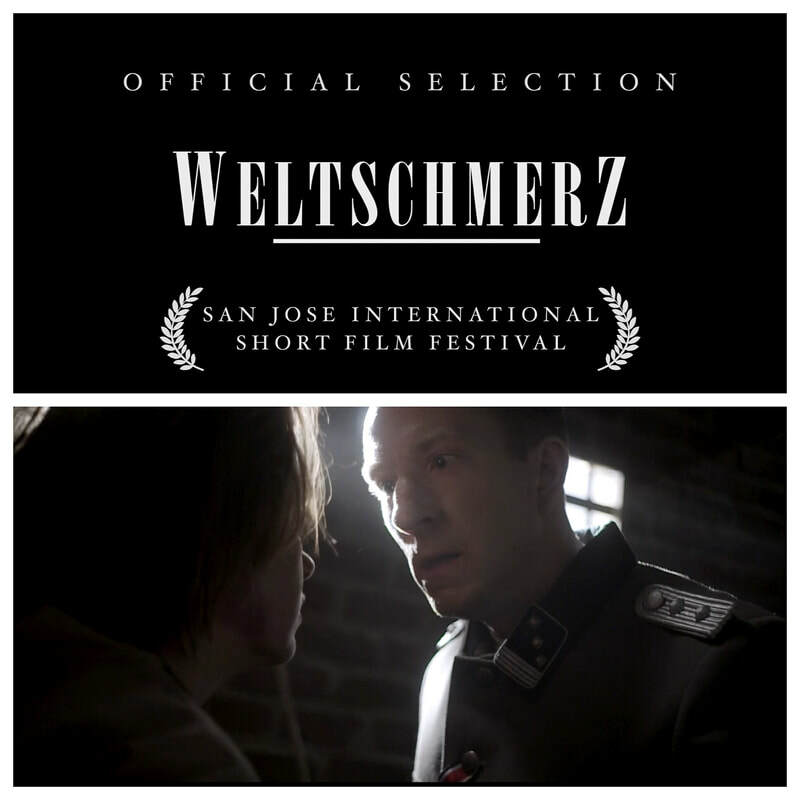 I am thrilled to find out that a film I starred in called, Weltschmerz, has been accepted into The San Jose International Short Film Festival, which is only the beginning with this in-depth period piece that I am very proud to have been a part of. It will allow me to gain much more exposure, and I am really hoping to attend! I know this film will be going places, and I'm really looking forward to taking the journey! I will be attending all of the screening days, and I'm really looking forward to being able to support all of the talented artists participating in this festival! Here is a throwback from when my talented friend, Keri and I put up a scene from the film, Best in Show. Here is a snippet of our rehearsal, and what is so exciting is that we actually got to be able to work with a real poodle! As we know, working with babies, or animals can be very unpredictable, and it was nice to get the chance to run the scene with this adorable poodle, Garmin. Needless to say, he stole the scene later in the week, when we did put it up in front of an audience. So much fun! Here's a screenshot of a film I was a part of back in June for Femme Regard Productions. To make the experience even better we were able to shoot the film on the Warner Bros lot, which was a nice bonus. Every experience for me, big or small, I am so appreciative of, because it's just allowing me to maintain my creativity, meet/work with new artists, and become an overall better actor/director/artist. Couldn't be happier! I am always happy to be given the opportunity to discuss my process from the original thought/idea to the final cut. Here's a snapshot of me during the Q&A at The Los Angeles International Underground Film Festival last month. I had the pleasure of sitting amongst quite a few very talented women while attending a screening of my film, PLUNDER. Sitting to my right is Alyssa Carter. She wrote, directed, and produced a beautifully told short, dramatic narrative called, The 17, taking place in San Salvador. And sitting beside me to my left is ZiJun Xiao who wrote a really gritty short called Salty Dish. Just as love is love...art is art. I couldn't be happier being surrounded by so many talented artists! I was given more great news as I landed back into LA today! PLUNDER, has been accepted into its 4th festival - The iFilm Festival! So far, it's the only online-based film festival that I had submitted to, and out of 7 submissions the film has gotten 4 acceptances thus far. That's huge! Here is to giving myself more exposure, and allowing others to see the great work we all did! My overall goal has been to create opportunities for myself so that I can work with like-minded, motivated, and creative artist's who truly care about the work they complete. Since this film has been in the can, and since it was given the award of Best Short Thriller at The SBFF back in April, I could not be more proud of this project. Here's to attaching myself to many more, and to being able to work with amazing artists! I've also been busy shooting sketches with my group, onewordnocaps.com/the-button/. This particular screenshot is from a sketch that will be released very soon. Had a blast pretty much getting all the coverage in one day. That's how we do! Quality sketches, and our days are always made. Yes, I can do funny stuff AND do the dark projects, too! Both are equally fun (in different ways). I couldn't be more excited to be able to have another opportunity to showcase my talents, and to gain a little more exposure within this industry as well help showcase my friend's talents! That's what it's about! I was thrilled to be able to be a part of the Q&A after my film, PLUNDER, screened a couple weeks ago at The Silicon Beach Film Festival. Speaking about my process a little bit was fun! Here's to more events like this in the future! I am so honored to have been given the award for Best Short Thriller for my film, PLUNDER! Out of a 170 films that screened, mine was 1 of 58 to be given an award, so I am feeling pretty happy about that. It's extra special to me, because this film was my writing/directorial debut! My cast and crew worked hard to be able to help me finish this, and I am so thankful I had them behind me a 100%. This is only the beginning! I am thrilled to share with you the first article published having to do with myself, and my film, PLUNDER! It offers up a little insight into why I love creating original art that matters. Having FilmLocal do a write-up will certainly give me and the film some exposure, which is much-needed! I am so proud of having put this trailer together in such a short amount of time. 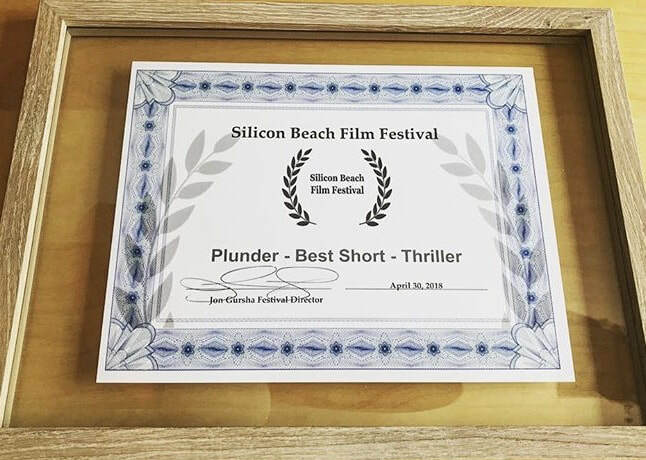 Since PLUNDER is being screened at The Silicon Beach Film Festival later this month, I wanted to be sure to entice some viewers that haven't seen the film yet. I specifically did new music just for this trailer, and think it turned out really well! Excited news to announce! 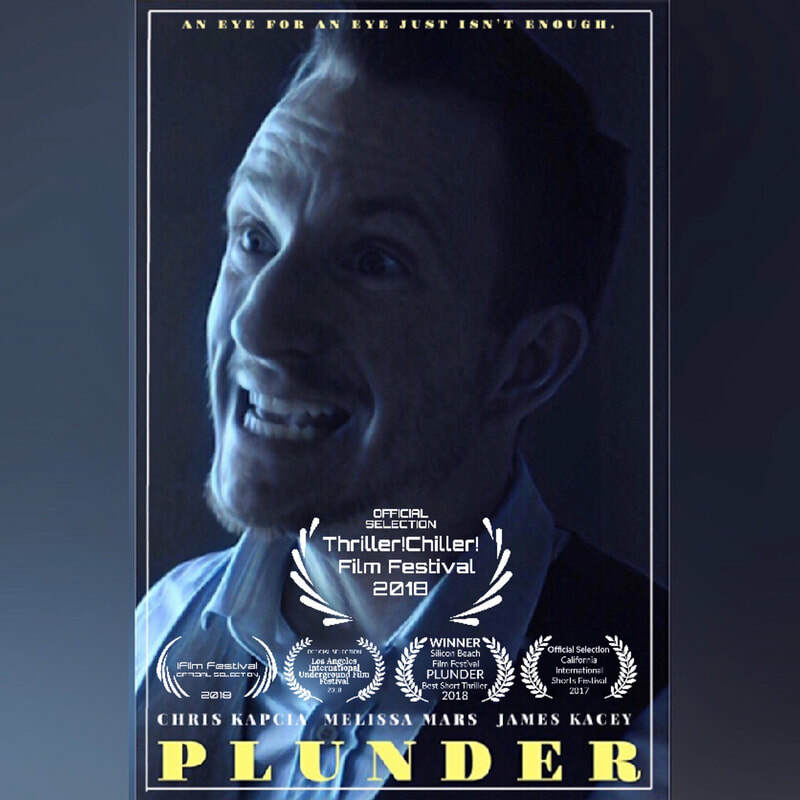 My film, PLUNDER, has been accepted into another film festival! It will be screening at The Silicon Beach Film Festival at the Cinemark 18 later this month! Details to follow! I can't stress enough how proud I am of this project, and that I can finally say that I've experienced my writing/directorial debut. The decision to accept this challenge given to me by my friends over at Some Assembly Required is one that I won't ever regret! Today marks one year since I shot my film, PLUNDER. It's actually really hard to believe a year has gone by, but as we know, time flies when you're working hard (and having fun!) Here's to another great year of continuing to get my film out there to audiences, and continuing to gain exposure in this crazy industry! I was so happy to have been able to attend the festival premiere of my movie, PLUNDER, tonight! The turnout was great, and the rest of the shorts in my block were fantastic! Proud is an understated feeling, when I talk about how this movie was made. It being my writing, and directorial debut as well as producing the music for this project, I am thrilled to be a part of Some Assembly Required. Every single one of those artists are amazing people, and they deeply care about what they create. So very happy to around such great work! 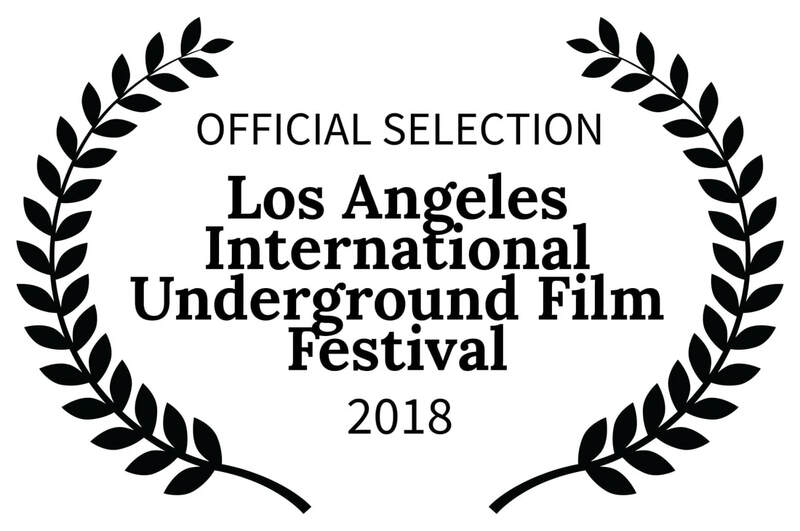 I am very excited to announce that the film I wrote, directed, acted in, did the music for, and edited was just accepted into its first film festival! 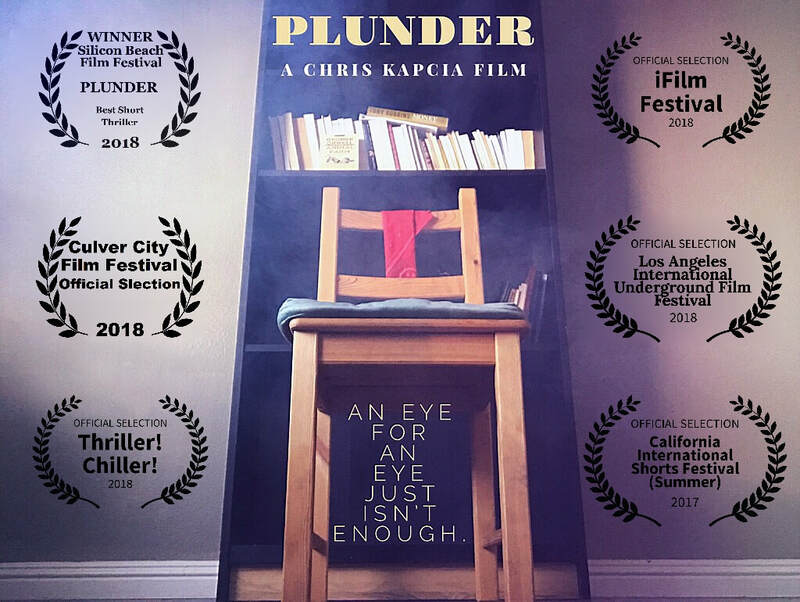 PLUNDER will be premiering this Sunday, December 17, 2017 at The California International Film Festival in the Complex Theatre in Hollywood. I am beyond thrilled as this was my writing/directorial debut. Thank you to the cast and crew for your work on this! Here's a screenshot of my most recent booking! It was such a cool/fun experience shooting Two-Shot, and one of my favorite sequences is the last one, because it was with a drone! It had a soft screening last night, and even though I wasn't able to attend, I heard it was well-accepted! I am very happy that the last 3 films I have been a part of have been dynamite. A great story, specific vision, and a film that an audience cares about is why I choose to go out for certain projects. Making art that matters! Exciting news! I am now represented by the wonderful Lisa over at Castle-Hill Talent Agency for both theatrical and commercial! It's a great way to finish out the last quarter of the year, and I look forward to more and more bookings! Keep the work coming! I am beyond thrilled to attend the Family and Friends screening of my newest film, Weltschmerz, tonight at The Don Powell Theatre in San Diego at 7:30 PM! This will be the first time I'm seeing the film, and I couldn't be more excited! Here's a little behind-the-scenes photo of me prepping before one of the climactic scenes while the crew set up the shot. You will be hearing about this film, I guarantee it! ​I recently went down to San Diego to do a little ADR for my upcoming film, Weltschmerz! It's almost finally completed, and I am very excited to see it screen later on this week! I've heard great things so far, and it will be amazing to finally see this film after 10+ months of collaborative work. I absolutely love being in class! It's the happy accidents that are most enjoyable. Those moments can charge up a room like no other. The environment we created for this scene was on-point! Maintaining creativity while not working on a project is extremely important! Here's a screenshot of a scene from my film, PLUNDER, pre-color grade. My DP, Zach Ginnever, sure knows how to fill the frame with an added natural light source coming in from the window! What a fun scene to play, and direct, too! I am so proud of the environment my scene partner, and I created for our scene in Gary Imhoff's Professional Artists Workshop today! His weekly classes always give me the creative freedom I need to maintain my art. The joys of being in class, and continuing to learn are always fulfilling! After the friends and family screening of my film, PLUNDER, was shown last month, I am very happy to say that it's finally finished! I ended up editing, and also doing the music for this, too! I am so proud of everyone's work on this. I hope to start submitting to some festivals soon. Exciting stuff! That's a wrap! 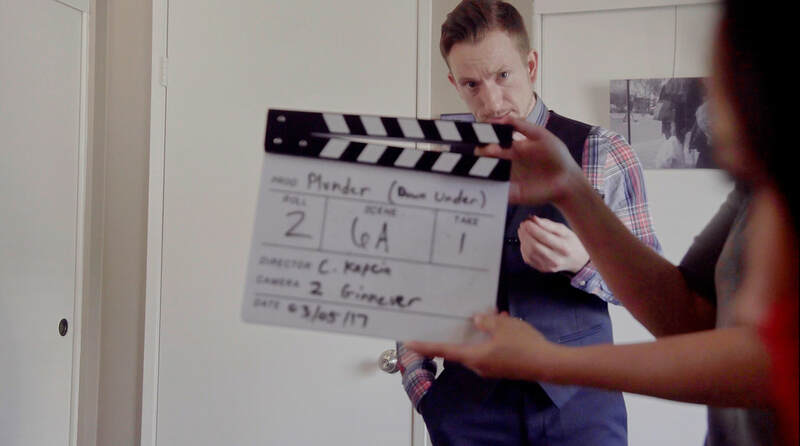 I am thrilled to announce that PLUNDER, the short film I wrote, directed, acting in, and produced, is now in the can! We are in editing mode, and will be premiering the film at the www.someassemblyrequiredla.com/ screening on March 16th! I am so proud of allowing myself to rise to the challenge in taking on this beast of a project! Cast and crew were amazing! I am starting out this year being back in acting class, and it feels great! I just started studying with Gary Imhoff, and I am thrilled! Be sure to check out the website for my newest film! Stay up-to-date with new movie stills, trailers, how their Kickstarter is coming along, and anything Weltschmerz related! I just checked out the short teaser trailer in the pitch video, and this film is already looking amazing! Don't miss out on being in the know! Happy New Year! To celebrate the beginning of 2017, here is a screenshot from my most recent film, Weltschmerz! I am very excited for this year, because, as I've said before, it's about small successes that bulild into bigger ones. It's all about having proactive patience in this industry. ​ That's a wrap! Thank you to the cast and crew of Weltschmerz, for an intense, but amazing experience on this film! I cannot wait until it's finished, and to show all of you the final product! Hello, Internet! It's been a while, but I've been busy shooting with my sketch group these past few months. Exciting news to share! 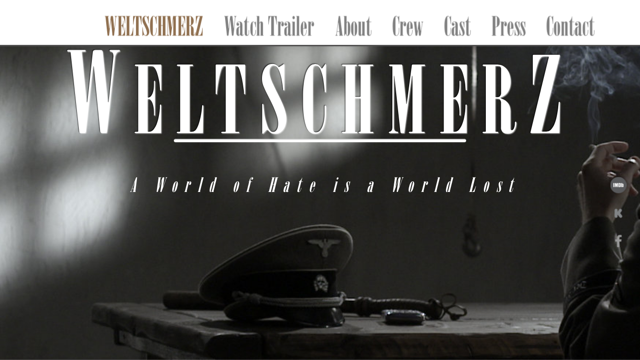 I've been cast in the lead role of a brand new film called Weltschmerz! I will be playing an SS Officer that takes place in 1940's Germany. We'll be shooting in San Diego, so it'll be nice to go back down there for some fun on set! I had a blast performing our Disney parody last night at IO West in Hollywood with Hilarity Over Therapy! Catch me as "Slick Willy," Bill Clinton in a song parody on June 8th at 11 PM @ IO West! Along with performing live with the comedy troupe, Hilarity Over Therapy, in Hollywood, I am now also apart of onewordnocaps Comedy! We've been shooting a few sketches, so keep a look-out for me in the coming months! Here's to keeping the laughter going! Awesome news! I was just nominated for a Best Supporting Actor award for the Rome Web Fest in Italy for my work in the Stay At Home Mom web series I was in! I am honored and overjoyed! Great news to share! I am now apart of a very talented LA-based sketch comedy group called Hilarity Over Therapy! Very excited to begin all the funny with this great group of people! I was very happy to have been called in to audition for a National Hershey's commercial today to play a cop arresting people for eating poorly! Ha! Had a blast! Thank you for having me, Julia Kim Casting! Merry Christmas, everyone! I truly hope the holiday brings you closer, and you are able to spend this joyous occasion with your loved ones! That's a wrap! 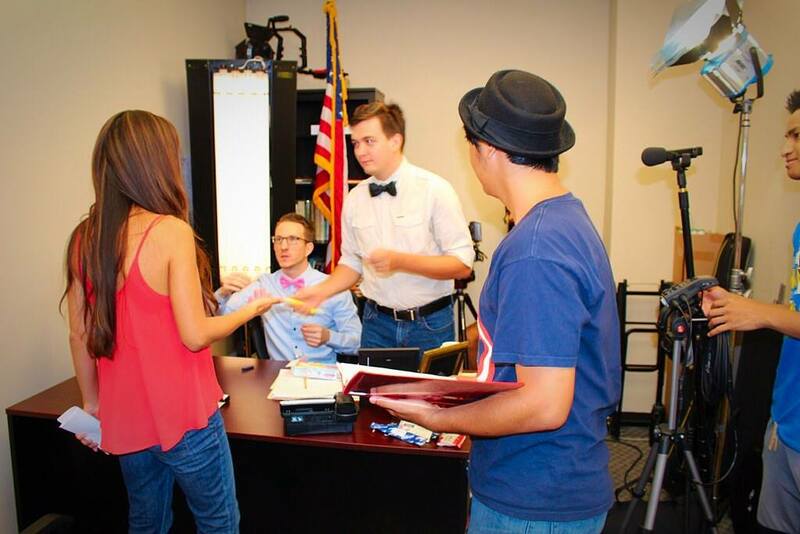 It was such a pleasure working with the cast and crew for this hilarious new web series! Pink bow ties are in! Here are some behind-the-scenes pics! Web series website coming soon! I am very excited to announce that the web series, Mental Issues, that I was the lead in is now online! Please check out each episode, enjoy, and share if you'd like! After living in NYC for a little over 10 years, I have moved to LA! Very excited to see what the West Coast has in store for me! I'm looking forward to the trailer, For Peace, that I shot back in June, to come out very soon!! Also, a web series I was the lead in should be coming out soon as well! After doing a bit of research and a lot of character work, I am ready to shoot for the next two days! Here we go! I was cast in a short film (political thriller) called For Peace and will be shooting in roughly a month! I'm headed to sunny LA in a couple weeks to book some projects! Here we go! I booked my first project for this year! I will be doing a live, interactive event for Time Warner Cable Studios! I will be playing a producer on the ESPN set. Here's to booking more projects this year! Happy New Year! I look forward to this year and the projects I will be booking! Boom UP!, a very unique short film where I play the lead, has been completed and is now being shopped around to many festivals around the country including Sundance! Fingers crossed! I recently wrapped the first 3 episodes of Mental Issues, a web series in which I play the lead! Very exciting! We shot 70 pages in 6 days, which was quite the ambitious project, but I am happy to be apart of it. Here's to the director/crew and their post-production ventures! Exciting news! 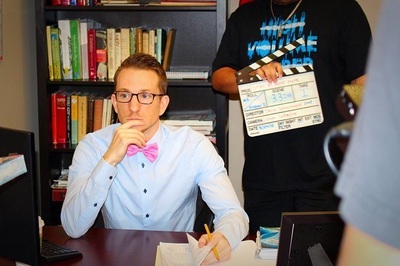 I will be starring in a new web series! Details to come soon. I have some new business cards on the way! I am always networking and now with the new design and photos (3 per card), I will be able to convey a few different looks within a few seconds of handing it out to any new contact I meet. Just a quick update as to what's been happening! I have wrapped all 3 of the projects he has been working on. 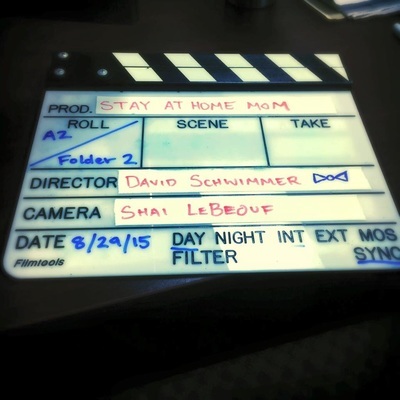 Two short films, one of which is SAG and a music video. Updates as to when/where they can be viewed coming soon! I have been working on a couple of projects from last year and is now finishing up the second one early next month. I also have another project I'll start shooting late April! Exciting stuff! Tried switching website platforms in the past year, but am now back to this one! Chris was just cast in a SAG short film called Boom Up! in which he plays Mike, the boom guy. Stay tuned for pictures and updates! Chris has started to freelance with an agency here in NYC. Great news!! Chris was accepted into The Wynn Handman Studio and he couldn't be more excited! Continuing his training is very important to him. Next up on the list...attaining representation! While continuing to audition, look for representation and attending seminars, Chris had his first audition to study with Wynn Handman. It went extremely well! 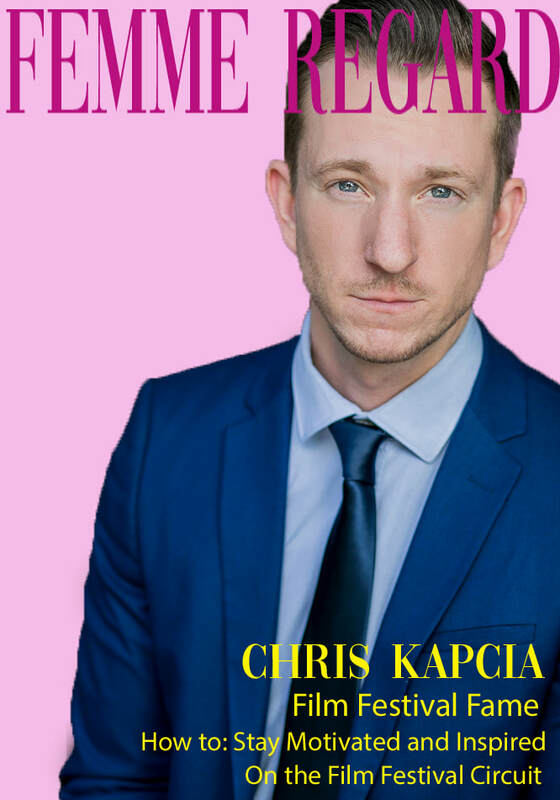 Chris has been auditioning and attending seminars in order to maintain his knowledge about the changing industry while also networking as well. 11/22/11Chris had a great time shooting with Brianna LaRocco of Brianna LaRocco Photography! Happy Birthday, Chris! He celebrated his birthday while on set of the new indie film, HairBrained starring Brendan Fraser in a featured role as an MIT quizbowl student. Chris booked and shot an online Coca-Cola commercial for the Johannes Leonardo Ad Agency! CURRENTLY SEEKING REPRESENTATION! Chris is looking to build a working relationship with a manager. Chris had fun at an improvised audition for Celebrity Close Calls with Lesley Mallgrave casting!Chris was able to do some work on the set of . The episode will air in Japan in the coming months. This week, Chris will be doing some background work on the set of the film, New Year's for four days. Chris has finished editing the first cut of yet another one of the films he and his colleague, , have completed called He is currently seeking an original score to accompany the feel of this film.Chris is set to co-star in a holiday music video, which will pay tribute to Wham's! 1984 Last Christmas. 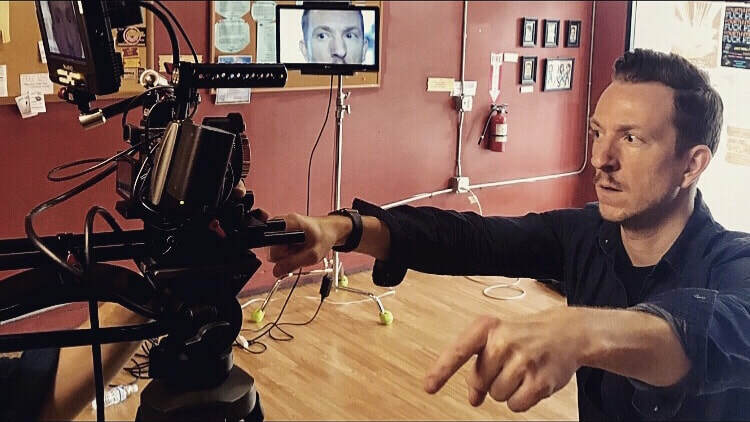 He is really looking forward to the shoot!Chris is gearing up to begin editing the third short film he and his close collaberator finished months ago. They have been promoting and , but now it's time to begin post-production on !Chris' newest film, Time In, has been accepted into the Riverside Saginaw Film Festival in Michigan. It made its world premiere! Here's hoping for additional acceptances into festival.Chris just got back from Philadelphia where he premiered his movie, Patient Zero. He always enjoys his time in Philadelphia. His next plan is to promote the newest film he is in called Time In.Chris has been called in to do a lot of background work for the HBO Television show Boardwalk Empire for the past couple of months now and is set to have a featured shot of him in Episdoe 9 of Season 2! 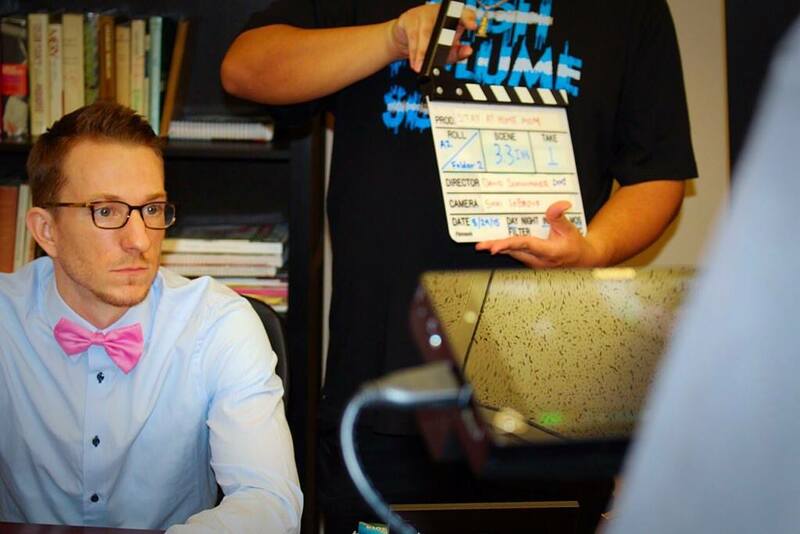 Chris has officially finished his short film, Time In with friend and close collaberator, Justin Muschong. It will be playing within the festival circuit hopefully early next year! Chris has also wrapped on Patient Zero, the film that Hard Boiled Productions did for this year's Project Twenty1 Film Competition. Chris will also be heading to Philadelphia in early October to premiere Patient Zero, which he is extremely excited for. His film will be up against 56 others. And lastly, he will begin editing One Night Strange, another HBP film, after he gets back from Philly. Exciting things happening! Another short film called One Night Strange is under Chris' belt. The film, Time In, is extremely close to being finished. Chris also will be participating in a film festival called Project Twenty1 again this year, which start on July 31, 2010. Chris finished filming, Time In and other than being in post-production for that film, he will be shooting, One Night Strange, in a couple of weeks! Very exciting! Chris will begin filming, Time In, next weekend and could not be more thrilled! Chris is in pre-production for 2 new short films, Time In and One Night Strange. They are being produced by Hard Boiled Productions. Stay tuned for updates! Chris has continually been looking for the next project he will be doing for Hard Boiled Productions. A web series is in the works. Chris just recently came back from Philadelphia. He and his close collaborator and friend, Justin Muschong, entered their short film, TUMBLER: the boom, in toProject Twenty1, a short film festival that accepts submissions from all over the world. The film was awarded Best Writing out of 27 film submissions. On another positive note, Chris and Justin submitted their first film, Duly Noted, in to Short and Shots, another event within Project Twenty1, and that was awarded Best Film!